With Free Comic Book day coming next week a few publishers are holding off on the good stuff as its pretty much the busiest week in comics. As Marvel move towards the next stage of comic book movies we can see the comics start to evolve from the Ultimate Marvel Uniiverse which kicked them off to the Now series. 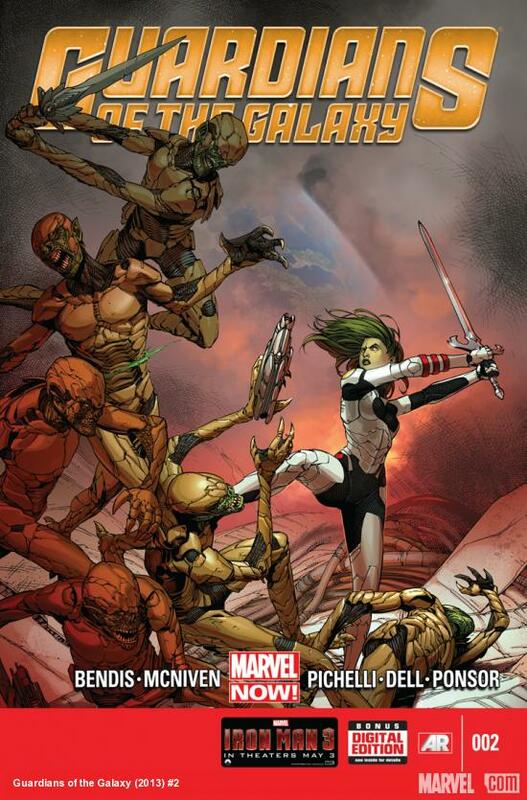 One to keep an eye on will be Guardians Of Galaxy #2 Now, written by Marvel legend Brian Michael Bendis it looks awesome and probably worth a buy just for the cover along.